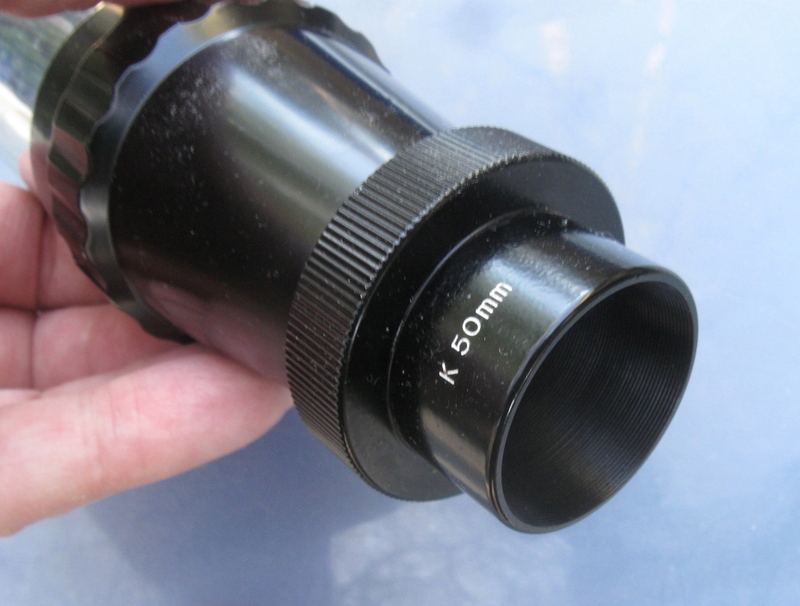 50mm Kellner, rare Royal Optical Brussels, University Optics Sold! 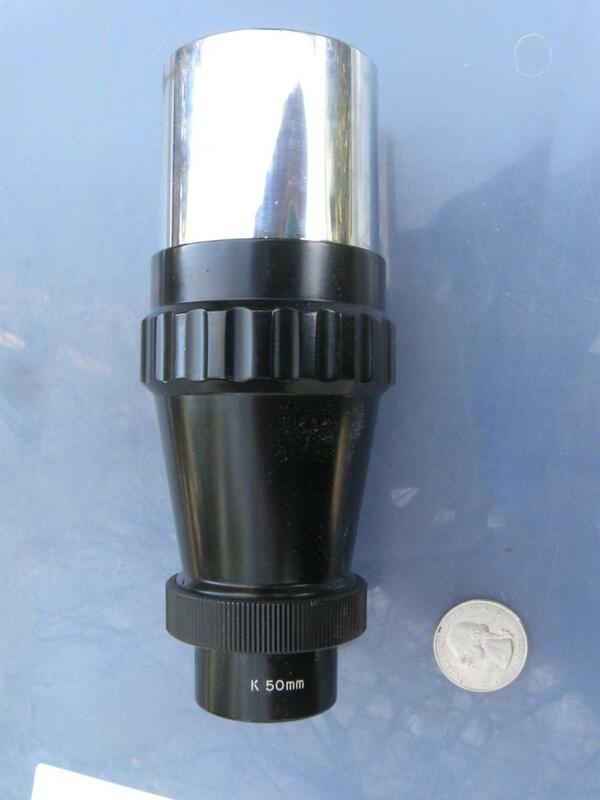 This is a rare and odd looking eyepiece. It gets better: you look through the small end. 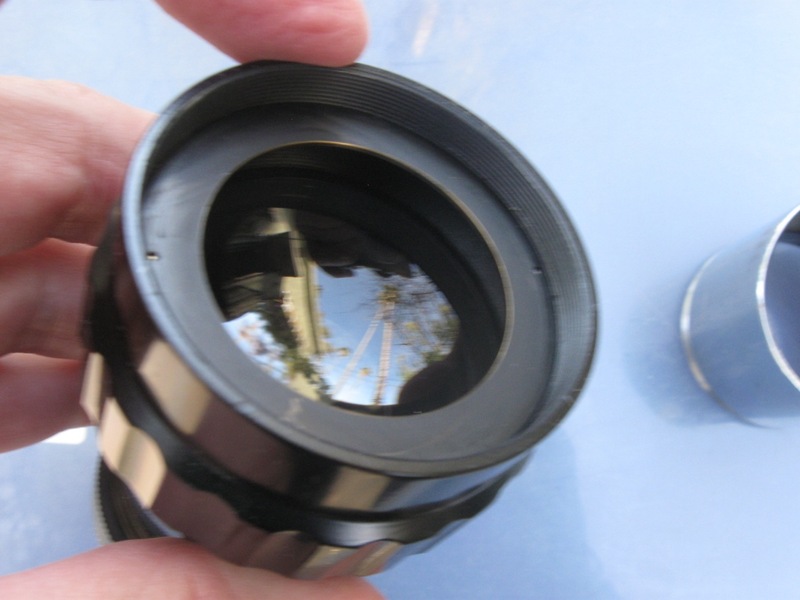 The chrome end fits into a 2" telescope back or diagonal. Possibly made by Royal Optical, Brussels, and also sold in the US by University Optics. Optics are nice, I cleaned them carefully. Not up to a pro-level, there may be streaks. 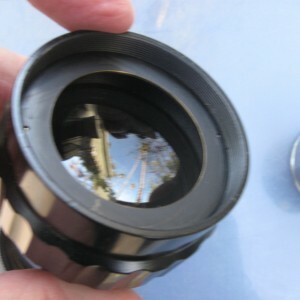 Looking through it compared to a Panoptic 35mm both show a similar patch of sky. Tested on a Vixen 102mm ED f/6.4 Orion's belt fits in with enough room to spare on both sides you could almost fit in another star. The combination of less magnification, less optical elements and older coatings gives you an image than is smaller than the Panoptic, with less contrast and brightness, but also flatter and less edge distortion. I started a thread on this eyepiece to find out what I had, here on CN. There are more pics in this lin:. 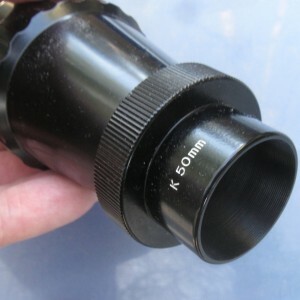 There is probably not an exact match but a modern but relatively boring 2" 50mm eyepiece that is better for a lower price. If there is, let me know. International shipping I think is around $25-35.